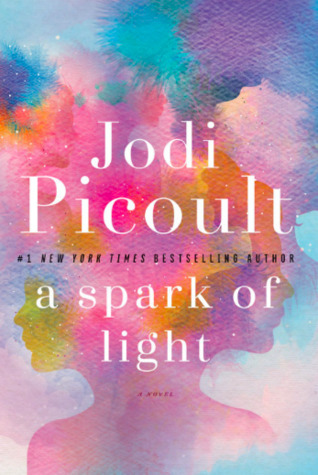 In A Spark of Light by Jodi Picoult, When police officer and hostage negotiator Hugh McElroy said goodbye to his beloved daughter Wren that morning at breakfast, he never would have dreamed he would next see her as a hostage in a women’s health clinic. 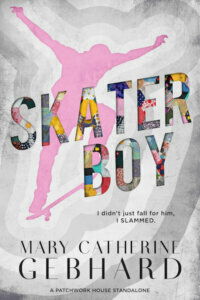 Just fifteen years old, he can’t imagine what Wren and his older sister Bex are doing there. But as Hugh begins a conversation with the shooter, George Goddard, and tries to end the standoff without any more casualties or injuries, he realizes all too clearly that though George’s beliefs may be quite different than his own, it makes them no less real. ‘Hugh would never take a life because of his own beliefs. Being a doctor who travels the country teaching and working in women’s clinics performing abortions is not the safest occupation in the world. Dr. Louie Ward knows this well. But he’s never been so deeply fearful for his life and that of the people around him as he is when the man walks into the clinic and begins to shoot. 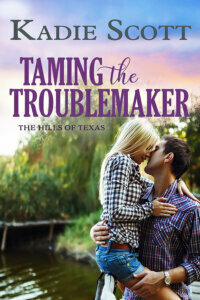 Hurt and unable to assist others, Louie does what he can to keep the women as calm as possible. He can only hope that the hostage negotiator will find a way to connect with the gunman, giving them all the opportunity to make it out of the clinic alive. But given the mental state George is in, Louie isn’t sure that will actually happen. Compelling and controversial, heartrending and touching, A Spark of Light was the type of emotional novel that will stay with readers long after they finish reading it. Trigger Warning: Picoult detailed abortion procedures, both medication based and surgical; the murders and injuries to the hostages were explicit; and she also touched upon different forms of abuse in characters’ backgrounds. Note: Please do not book or author bash. We all have opinions on this topic, but please keep it constructive. Thank you! If there is one thing Jodi Picoult’s books make me do, it’s think. She has a knack for getting right into the heart of whatever subject matter she’s chosen for a particular novel and breaks it down into its most basic human elements. I find myself frequently surprised by the reactions I have to her characters and their struggles, sometimes even finding empathy in situations I never would have expected. And that was exactly how I felt reading A Spark of Light. I went into the story with my own views, of course, but have to admit that both sides of the issue had valid and well-thought out arguments on the subject. It was a true testament to the time, research, and care with which Picoult crafted this complicated story. The way this book was mapped out, with multiple POVs–and most importantly–the timeline running backward until the very final chapter, was so creative. We began at basically the end of the negotiations (right before a crucial moments) and then worked our way back, hour by hour, until we got to see how it all began earlier that day. Now, there were really too many characters to discuss individually here. But what I thought was most intriguing was seeing the wide assortment of people Picoult described and threw into the situation. There was an artist, a former college professor, a cop, a doctor, a former soldier, a nurse, a high school student, a business owner, etc. And they all had a reason for their beliefs, which I fully respected. Some of their backgrounds and reasons for their choices were tough to read about but I think it (unfortunately) represented real life scenarios of how people would find themselves in the predicaments these characters wound up in. A story about choices based on our individual beliefs–and their sometimes catastrophic consequences–A Spark of Light was an absorbing story which I think will have a deeply personal meaning for readers. It was a truly powerful story, Teresa. I hope you get to check it out! I thought it was an amazing book, one of this year’s best. Thank you for an accurate and thoughtful review. Thank you, Monique! I’m so glad you were wowed by it as well. Jodi Picoult certainly is a master at thought-provoking stories with flawed, relatable characters. Thanks, Tammy! You can’t go wrong picking up one of Jodi Picoult’s books. This one is intense but so worth it. I haven’t read this author before and have been nervous to try her out but you make me really want to try her out. I do admire those authors that really make you think and ponder things. Picoult’s books definitely will make you think–and mostly likely in a broader scope than we might normally do. The subjects are usually controversial, but I like how she looks at all the angles of it, letting the reader make their own mind up.